To round off the mid-term report for 2015, we thought it would be good to have a look at some of the people we’ve discovered this year. Some of them are relatively new and some have been around for a while but they have one thing in common; they’re all very good. 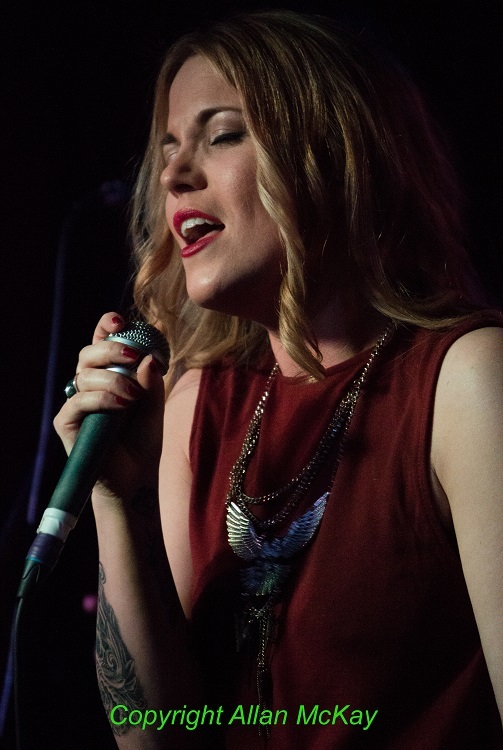 We heard about Mollie Marriott last year when she did backing vocals (along with Izzy Chase-Phillmore) on Jim Stapley’s debut album “Long Time Coming”. She’s had a couple of singles out (“Ship of Fools” and “Transformer”) and the first album’s just about ready to go. She’s been collaborating with some exceptional songwriters and her live band (Johnson-Jay Medwik-Daley, Sam Tanner, Alex Reeves and Henrik Irgens) sounds stunning. 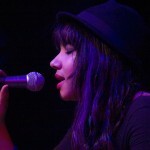 Top that off with a voice which can do the pure pop, but has a raw, soulful edge as well and you’ve got something a little bit special. The only way is up. Discovering Sound of the Sirens earlier this year was proof that turning up for the support band can pay off. 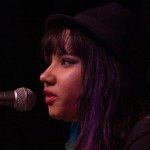 They supported Mad Dog Mcrea on a few dates earlier this year, including The Half Moon in Putney and they were superb. 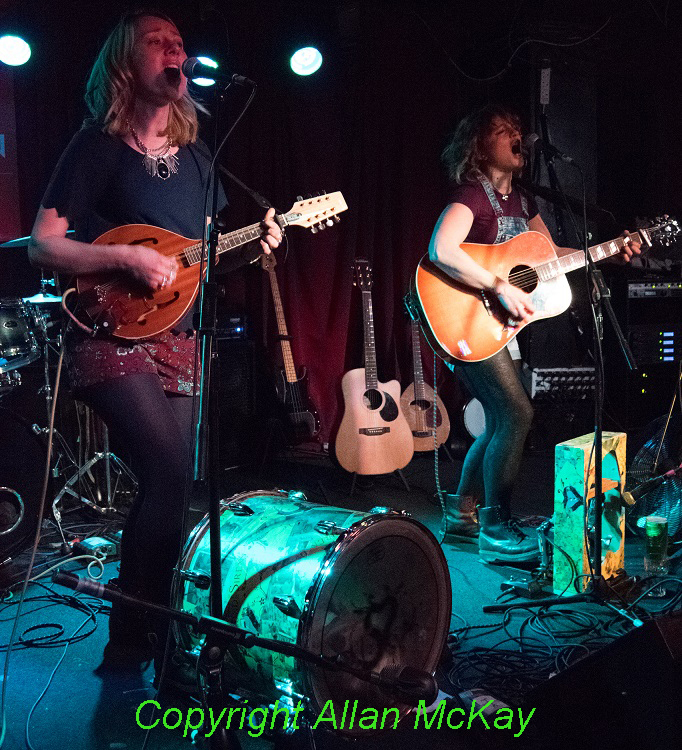 Abbe Martin and Hannah Wood create a huge sound with two voices, two guitars (or guitar and mandolin) and two stompboxes. If you insist on attaching a genre tag to Sound of the Sirens, ‘twenty-first century acoustic anthems’, is pretty close to the mark; it works for us anyway. But don’t just take our word for it, in the last couple of months, Abbe and Hannah have played at Glastonbury, have secured a BBC Introducing slot and are appearing at Carfest. And they’ve got a new EP out. The guys in Jupe are Dublin-based and they’ve been together for a while, but now that their line-up has settled they’re just starting to get the attention that their anthemic soul/pop/rock really deserves. 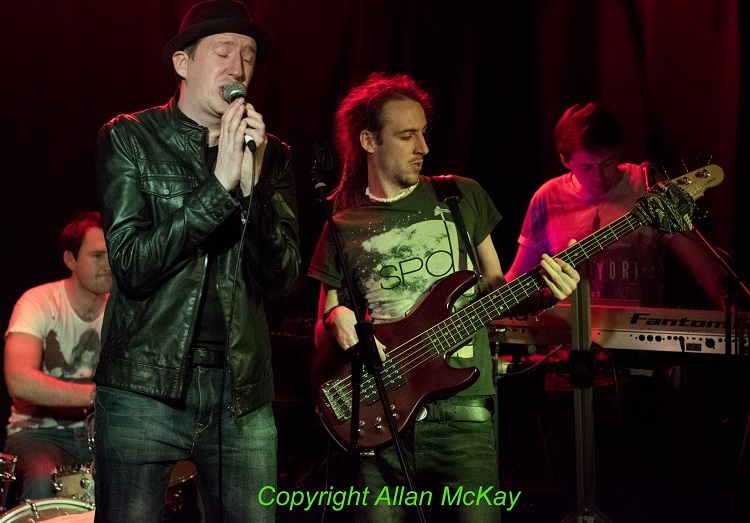 The Riot Squad saw Jupe at a showcase gig at The Garage in Islington a few weeks ago and they were the band that got the entire audience on their side. The sound is contemporary and commercial but it’s backed up with rock-solid musicianship and a charismatic singer who knows how to work a live crowd. The single “Rocket” is out on August 3. Hannah Aldridge released her jaw-droppingly good debut album, “Razor Wire” in 2014; it’s a collection of intensely personal songs written from the perspective of a writer who has walked the darker side of the street. 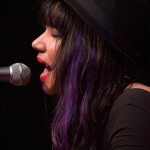 She toured the UK recently in support of the album and won over audiences with her stripped-down solo versions of the album material, including a storming version of “Howlin’ Bones”. The album and the live performances of the “Razor Wire” material alone would secure Hannah’s inclusion in this feature, but there’s even more. 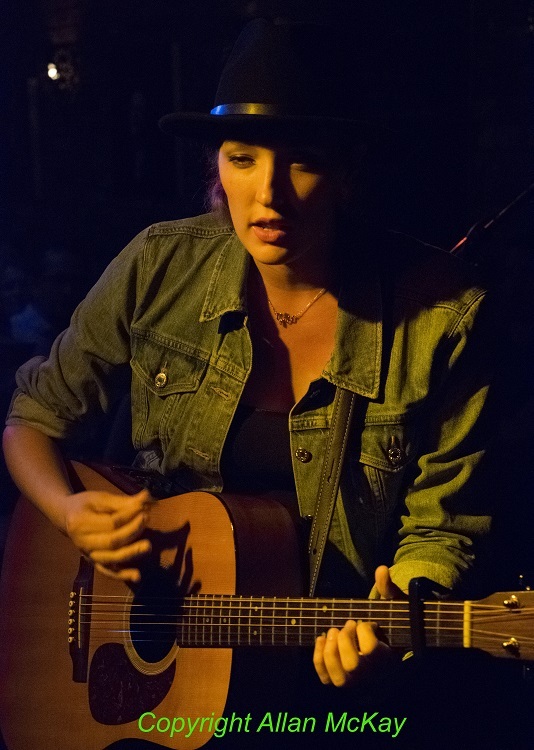 During the show at Green Note, Hannah played a new song called “Gold Rush” which held the audience in hushed awe. If the rest of the next album is even close to the standard of “Gold Rush” it’s going to be an album to grace anyone’s collection. Three years ago, we were seriously impressed by Natalie Duncan’s debut album “Devil in Me” and her stunning live performances. 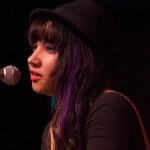 Things went a bit quiet following the initial promotion for the album and the major label deal didn’t really work out, but Natalie’s a strong character and a formidable talent; she’s been working on new material and, over the last year or so, she’s been playing to a mixture of album material and new songs to appreciative audiences all over London. The new songs from her “Black and White” EP are much more edgy than her earlier material, using vocal loops and samples as part of the backing tracks and they seem to be attracting a new audience to augment her original following. Anyway, she’s sounding better than ever and you should give her a listen. And, if that’s not enough to be going on with, there are a few other bands that you should keep an eye on. Black Casino and the Ghost release their second album later this year, Space Elevator’s brand of theatrical melodic rock is attracting wider attention, The Jar Family are reaching wider live audiences with their well-crafted songs and energetic gigs and Jim Stapley (Mollie Marriott collaborator and astonishingly powerful rock singer) is working in New Orleans on new material for that difficult second album. By the time you’ve checked out all of those, we’ll be doing the year-end review. Natalie Duncan is one of those artists that’s always guaranteed to grab my attention. She plays beautifully, has a powerful and expressive voice and she’s a genuinely original songwriter, so I couldn’t resist going to see her when she was playing in Camden. Her recently released “Black and White” EP with its loops and samples is a world away from the traditional instrumentation and production of “The Devil in Me”, so I couldn’t wait to hear how she would reconcile the two styles in a live setting. 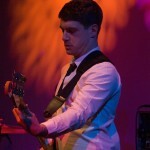 Support on the night came from Chris McDonald, playing his last UK gig before moving to Ireland. His brand of honest and compassionate songwriting combined with a fairly partisan audience, and a band which seemed to add a new member every time you looked away from the stage, set the scene nicely for the evening’s headliner. It’s fair to say that since the initial publicity around “The Devil in Me”, Natalie hasn’t had a particularly high profile, but that doesn’t mean that she’s been forgotten; she still attracts a healthy audience every time she plays. And her creativity is still firing on all cylinders. The last couple of months have seen a transformation for Natalie Duncan. The musical stylings have changed (she’s working onstage with a guitarist/keyboard player and drummer), but she’s also changed her appearance. The long hair has gone, replaced by a funkier look and the whole package feels like someone drawing a line under the past. 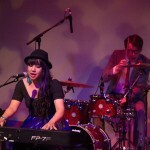 The set started with “Pure” and Natalie sitting at the piano as you would expect, but the second song, “Oh My God”, from the new EP saw her move out of the comfort zone (Natalie’s words, not mine) and stand centre stage with just the microphone between her and the audience. The move out to front and centre didn’t last for long, but it was another sign that things are changing in the way Natalie relates to her audience. The remainder of the set was a mix of material from the new EP (“Black and White” and “Elysium”), new material (“Sonic”, “Plastic” and the excellent “Diamond”) and two album songs to close out the set on a familiar note, “Sky is Falling” (with a lovely guitar solo) and “Uncomfortable Silence”. Perhaps familiarity with the “Black and White” EP helped a little but the new material, although very different in style from the album songs, seemed to fit neatly with the more familiar piano settings. The two musicians backing Natalie, Tom and Ali, were deliberately self-effacing (apart from one guitar solo), allowing the songs and Natalie’s powerful, yet occasionally fragile, voice to shine through. There were a few technical glitches, but nothing that could suppress the feeling that we were all seeing something a little bit special. Get yourself down to one of those; you won’t regret it. 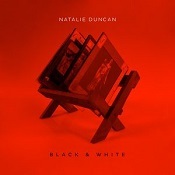 Well, it’s been a while but it’s great to finally hear some new material from Natalie Duncan. I’m guessing that the last couple of years haven’t been a bundle of laughs; after the superb debut album, “Devil in Me”, the hype which surrounded her can’t have been easy to deal with. You can call this an inspired guess if you like, but I have a strong impression that what Natalie really cares about is making music and the music business hoop-la surrounding it is something she can happily live without. Anyway, following her split with the Verve label last year she’s had the chance to do her own thing and the “Black and White” EP is her first commercial release in over two years. The blindingly obvious difference between “Devil in Me” and the new EP is that the traditional instruments and production techniques used by Joe Henry on the album have been replaced by more contemporary electronic techniques, resulting in a very different overall sound, where the distinct voices of the instruments are often blurred by heavy reverb to create an almost ambient background for Natalie’s vocals to cut through. The title track opens with mournful keyboard chords (harmonium, maybe) leading into sampled backing vocals (more of those later) and builds up steadily with straightforward percussion and very heavy bass as a story of style over substance unfolds (‘They’re gonna love you in black and white’). “Oh my God” has a lo-fi feel using retro samples and surface noise effects to create a backdrop vocal samples pitched up and down to form part of the overall arrangement with Natalie’s voice thrown further back in the mix, becoming just another part of the arrangement; very atmospheric. “Elysium” begins with conventional instruments; the long, melancholy keyboard chords and a detuned guitar and what sounds like a heavily-reverbed steel pan. There’s also some more huge, rumbling bass. The theme of pitch-changed samples runs through this song as well, as a counterpoint to the close-miked lead vocal. It’s a very personal song, particularly in the double-time middle section and is simultaneously disturbing and uplifting. “Ripples” opens with percussion samples and steel pan again, and that familiar vibrant bass which you feel rather than hear. It’s another bitter-sweet relationship song which is probably best summed-up in a line from the coda: ‘Holding on to an empty hand, the world moves past us as we stand.’ It’s another haunting performance. It’s difficult to say if this is a new direction for Natalie Duncan or if it’s a period of experimentation; either way, the combination of trip-hop samples and ambience with twentieth-first century percussion and sampling techniques works really well with the songs on this EP. 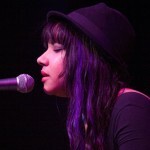 Whether her flawless voice is front and centre or being warped as part of the backing track, these four tracks show that the songwriting is still of the highest quality and, despite a couple of years out of the limelight, Natalie Duncan is still a prodigious talent and any new material she releases is worth listening to. Welcome back. “Black and White” is out now on Spotify. We’ve heard and read a lot this year about the death of the album as a format. Well, we’re having none of that at Riot Towers; as far as we’re concerned the album is still alive and kicking (and none of your download nonsense either). The site contributors have all put together their favourite fives of the year and we’re sharing our choices with you as a little festive thank you. As the most senior (oldest) contributor, I get to open the batting for the Riot Squad 2012 favourites. I can’t even attempt to rank these so here we go, in alphabetical order by title. You can find reviews of all of these albums on the site. This is one of two debut albums in my Top Five for 2012. 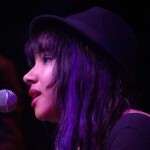 Natalie’s a superb singer and a great piano player but the songs are something else. 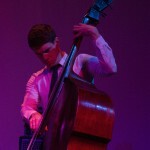 Some are observational such as the superb “Old Rock” while others appear to be very personal (“Uncomfortable Silence”); what they have in common is that they are all superbly-crafted songs which work equally well when orchestrated on the album or played live with a smaller drums/bass/guitar/piano set-up. 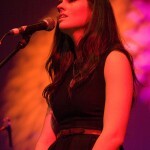 You should really make the effort to see Natalie Duncan live in 2013. 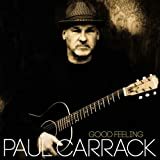 Paul Carrack has been one of my favourite singers for longer than I care to admit so I approached this with a bit of caution; there’s always a chance that an album like this can disappoint. I didn’t need to worry because this blend of originals, songwriting collaborations and covers is absolutely superb. His voice is as stunning as it was 40 years ago and he’s great keyboard player and good guitar player; it’s sickening really. It’s worth buying for the voice alone, but there’s so much more to admire here, particularly the Nick Lowe song “From Now On” and Springsteen’s “If I Fall Behind”. Another debut album, this time from a band that defies classification. I still don’t know whether this is indie, goth, rock, emo or any combination of the above. What I do know is that it’s melodic, inventive, dynamic and original and the band is great live as well. 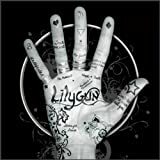 My first contact with Lilygun was a review of the single “Moonlight” and I’ve seen quite a lot of the band since. This is an album where you don’t shuffle the tracks; it’s programmed to tell a story from the first to the final track and that’s how you need to listen to it. Also featured on the album is the live favourite “Scum”. This seemed to come out of nowhere in the autumn of this year. All of the band members have been doing their own thing for years and the only motivation for this project was love of the music. Ricky Ross provided the strongest set of songs he’s written in years and they were recorded live in the studio; the result was an album which was fresh, immediate and memorable. 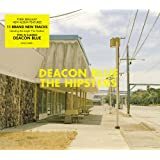 I know you can’t rewrite history, but I wish this had been the second Deacon Blue album rather than the slightly bombastic “When the World Knows your Name” (and I’m not saying that’s a bad album). The songs here are much more personal; “Is There No Way Back to You?” and “Laura From Memory” are written in the first person and the ironically- titled “The Hipsters” (the best summer song of 2012) is neatly counterbalanced with the more accurate description of “The Outsiders”. However you look at it, it’s a great album. This was the soundtrack to my summer this year. 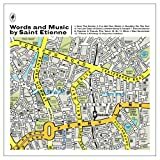 I’ve always loved Saint Etienne but I hadn’t really expected to hear any significant new material from them; This was quite a surprise. It’s the perfect package; great songs which are nostalgic but never mawkish with enough references to satisfy any pop trainspotter and the best artwork of the year. From the scene-setting opener “Over the Border”, the album explores the soul of the music obsessive through the great settings of Wiggs and Stanley and Sarah Cracknell’s perfect voice. As with every other album on this list, there isn’t any filler here but, if I have to pick a few standout tracks then “Tonight”, “Answer Song” and “Popular” should do nicely. Ok I said Top 5, but I also need to give a mention to Dean Owens who released 2 great albums this year (“New York Hummingbird” and Cash Back”) which were both reviewed as 4-star albums. Nobody else managed that particular feat. So, does anyone still want to tell me that the album’s a dead format? Normally I make a point of seeing the support act at a gig; it’s only polite, especially if you get a review pass and a plus one. Well, apologies to Billy Lockett; a combination of bad weather, bad public transport and Plus One’s hunger pangs meant that I only caught half a song of Billy’s set. I’ll have to make up for that some time soon, because I really liked what I heard. The Tabernacle performance area is a gallery theatre above a bar and social space in Notting Hill and it’s the perfect setting for a performance by one of the great breakthrough British artists of 2012. 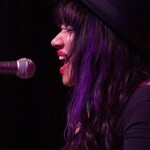 Natalie Duncan is hugely talented songwriter, singer and player whose first album “Devil in Me” is easily one of the best albums of 2012 and this tour of intimate venues may be the last time you get a chance to see her up this close for a while. After the low-key entrance, without a big MC introduction, the show started in the same way as the album with the a cappella intro to “Devil in Me” demonstrating Natalie’s phenomenal voice before the band slid effortlessly in to back up this tale of a destructive relationship. 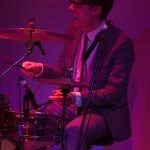 The band dress code was mid-60s smart suits, which gave the gig a feeling of being set on the sound stage of “The Hour”. 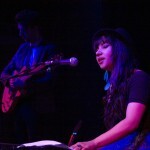 The arrangements are more stripped-back than on the album but the four musicians on stage provide electric and acoustic guitars, electric and double bass, xylophone and backing vocals to supplement Natalie’s soulful vocals and playing. By the third song in (“Sky is Falling”) the audience were transfixed and we all knew that we were seeing something special. Playing with a small band and losing some of the big arrangements from the album demonstrates the strength of the songs; the album is a fine piece of work, but the songs stand up perfectly well with more intimate arrangements, including solo piano and vocal, and that’s the measure of a great song. The set included “Songbird”, “Black Thorn”, the great “Old Rock”, the show-stopping “Became So Sweet” and “Uncomfortable Silence” from the album, plus a few songs, including the lovely “Grace”, which were new (or at least not on the album)and demonstrated that Natalie knows how to pace a live set; every song flowed perfectly into the next. At the end of the set (and the encore) she was rewarded with a genuine standing ovation from an audience that recognised a truly talented performance and celebrated a unique songwriting talent. It’s obvious that Natalie is feeling more comfortable with the centre-stage position (I suppose supporting Muse couldn’t harm the self-confidence) and she looks as if she’s relaxed on stage which helps build a rapport with an audience which is already firmly supportive. 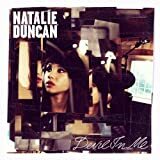 So, “Devil in Me” is one of my top five albums of the year and I know that Natalie Duncan can deliver a stunning live experience; what more can I say? If you haven’t bought or listened to “Devil in Me”, then you need to put that right straight away. After that you need to look out for the next tour on her website or Facebook page and go out and decide for yourself; you won’t be disappointed. 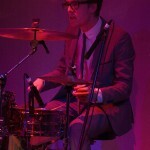 And keep an eye out for a gallery of photos from the gig in the next few days. 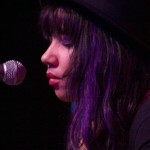 A few weeks ago I wrote a piece for MusicRiot on the Natalie Duncan album “Devil in Me”. Before the piece was published, I had a few hard looks at one sentence which I thought might be seen as a bit harsh, particularly in the context of a very positive review, but I decided to go with it anyway; I must have been having a bit of a Lynne Truss moment. This weekend one of Natalie’s supporters sent some feedback to the website in the form of a very polite and well-argued case defending the grammatical usage which I objected to. After a very civilised exchange of emails, I’m happy to accept that the way the line was written was the result of an artistic decision and not a grammatical error. Call it poetic licence if you like, but that’s the way Natalie Duncan wanted the line to sound and I’m not going to criticise that. In the all-time list of grammatical clunkers in pop music, this wouldn’t even merit a mention. How about “Live and Let Die” (thanks for pointing out that one Andy) and “Real Gone Kid”? And Ricky Ross used to be a teacher as well. I have to say that I’ve taken a couple of really strong positive messages from this episode. It’s fantastic that there are people reading MusicRiot who feel so passionately about an artist’s music that they are willing to defend it in this way. More importantly, I’m really pleased that two people can still have a respectful and intelligent debate about a fairly emotive issue and achieve some kind of resolution. We try to make sure that everything published on MusicRiot is accurate, but any review is, inevitably, subjective and will reflect the reviewer’s opinions and prejudices to some extent. If you don’t agree with something you see on the site, let us know why; we’re always open to discussion. If you strongly agree with something, let us know about that as well, because we all like to have our egos stroked occasionally as well. Anyway, the bottom line is that “Devil in Me” is still one of the best albums released this year and you should all be listening to it.